With insight and wisdom, award-winning author Rabbi Elliot Dorff provides an accessible, honest and thorough exploration of this important Jewish concept. 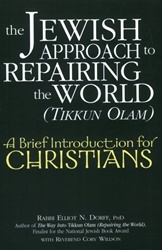 With easy-to-understand explanations of Jewish terms, practices and history, each chapter explores a different facet touched by the tradition of tikkun olam. 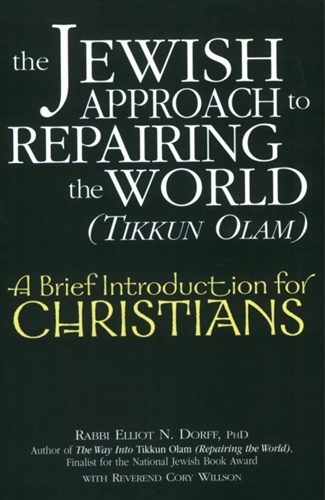 Rabbi Dorff also addresses parallel themes and practices in the Christian tradition, helping you better understand the roots of Christianity and how the fundamentals of Judaism relate and reflect your own aspirations to repair the world.